"This is a short film about the Alberta All Girls Band Spectacular. The Edmonton-based band was invited to open the 1974 World Cup Soccer Championship at the Munich Olympic Stadium. They performed before a combined live and television audience of over half a billion people. 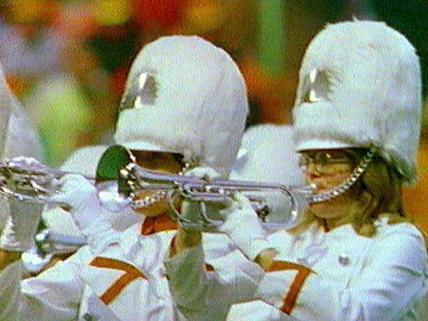 The precise marching formations and fine musicianship are impressive." National Film Board of Canada. "NFB -- Alberta Girls." National Film Board of Canada. http://onf-nfb.gc.ca/en/our-collection/?idfilm=11792.